The Senate in the prequel trilogy of Star Wars set the stage for the Empire’s eventual takeover. 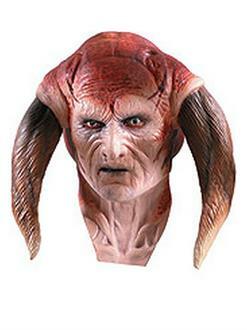 Join the Senate this Halloween with this Saesee Tiin Mask for Adults! The recognizable alien is faithfully recreated here with a pair of fleshy tendrils that rest on the shoulder. Order it online today with fast shipping!